We will create a custom solution to fit your aspirations and resources, a cost effective website that becomes a marketing asset to your business. 8 page website. We design, setup and add content. More pages easily added later. Proven marketing results with optional Much Loved Funeral Announcements and Donations & Reviews Integration. Find out more..
All 'Plus' features and up to 25 pages. Our top of the range funeral director website. Our Starter Website. We design & setup, you add content. More pages easily added later. People are searching specifically for funeral plans. Provide those answers separate from your 'at need' content. Content updates done for you. We update information/prices/logos. You provide text and images - we optimise and add to your website. The general public are searching online more and more for funeral plans. The best person to buy a funeral plan is your local funeral director however aggressive marketing often results in the local independent funeral director losing out. 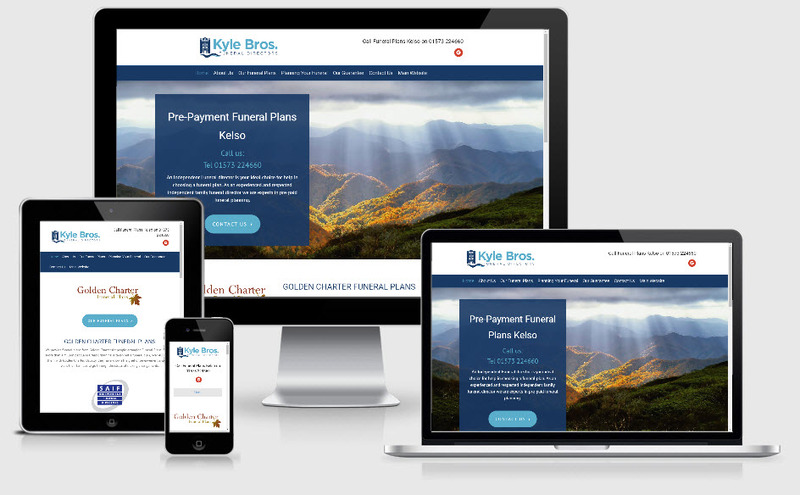 The concept of a website complimentary to your main website yet dedicated to funeral plans has been tested and proven as an effective solution for online marketing of funeral plans. 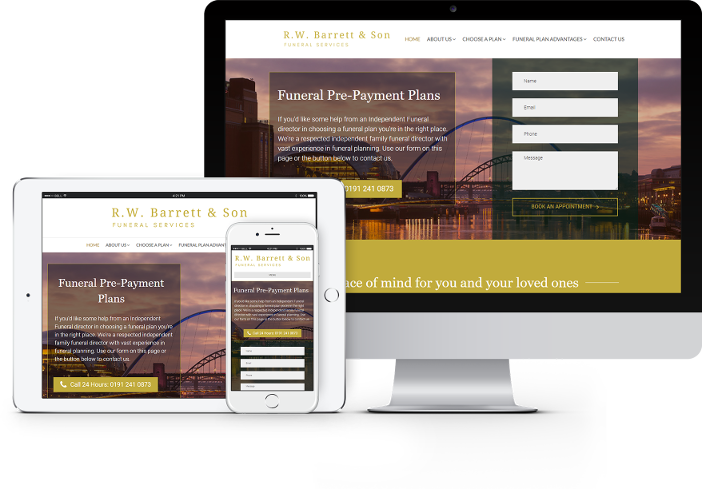 A search for 'funeral plans newcastle' will demonstrate the successful results achieved for our client RW Barrett and Son. The dedicated website receives 4 x as much traffic as typical content within a main website. The dedicated funeral plans websites shown below are exclusively available - contact us today to secure your area. Please contact us if you don't see your area, we have other locations reserved UK wide. The dedicated funeral plans websites shown on this page are exclusively available - buy today to secure your area. Please contact us to secure your website, if you don't see your area get in touch as we have other locations reserved UK wide. *We don't just build your website and then abandon you. We work with our funeral director clients, taking responsibility for their websites for the long term to help successfully market their businesses online.